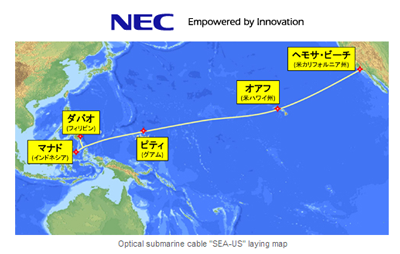 NEC was selected by a consortium of seven global telecommunications companies to build a new submarine cable system that directly connects Southeast Asia and the United States. The Southeast Asia -- United States (SEA-US) cable will span 15,000 km and connect the five areas and territories of Manado (Indonesia), Davao (Philippines), Piti (Guam), Oahu (Hawaii) and Los Angeles. When completed in the Q4 2016, the cable system will support 100G wavelengths and offer 20 Tbps of capacity. The approximate cost is US$250 million. The consortium consists of PT. Telekomunikasi Indonesia International (Telin), Globe Telecom, RAM Telecom International (RTI), Hawaiian Telcom, Teleguam Holdings (GTA), GTI Corporation (a member of the Globe Telecom group of companies) and Telkom USA. 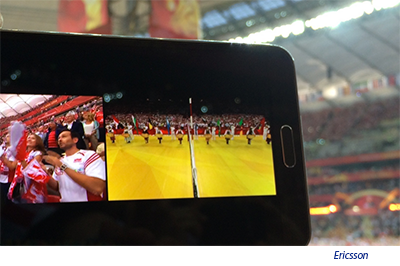 Polkomtel carried out the first test of LTE Broadcast technology in Poland on August 30, streaming the opening game of the 2014 World Volleyball Championship between Poland and Serbia to 300 selected guests and journalists at Warsaw's National Stadium. Ericsson supplied its LTE Broadcast solution. A total of 300 guests were given LTE Broadcast-enabled mobile devices with a pre-configured application to watch live streaming of the game. Valter D'Avino, Head of Ericsson's Region Western and Central Europe, says: "Ericsson has been at the forefront of developing and implementing this technology around the world, and it has great potential to grow much further with a wide range of use cases: for example, to send updates and content to connected cars, digital signage or billing boards, as well as public safety and emergency broadcast services." Alcatel-Lucent completed the fourth upgrade of the SAT-3/WASC undersea cable system, which now offers 40 Gbps connections, full in-system protection, and one of the lowest latency routes between Europe, West Coast of Africa and Southern Africa. The SAT-3/WASC cable system was upgraded from 420 Gbps to 920 Gbps in the northern segments, north of Ghana, and from 340 Gbps to 800 Gbps in the southern segments. Overall, this fourth upgrade enables a sevenfold increase in SAT-3/WASC’s original design capacity through the use of Alcatel-Lucent’s advanced coherent technology. This latest upgrade went live during the first half of 2014. 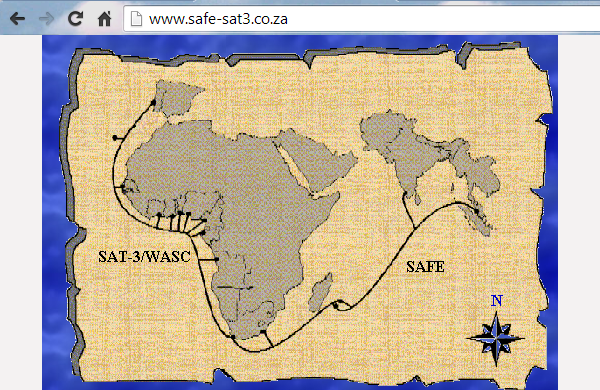 The SAFE cable provides on-going connections via the shortest route and therefore lowest latency between Southern Africa and Asia with connectivity via South Africa, Mauritius, Reunion, India and Malaysia.